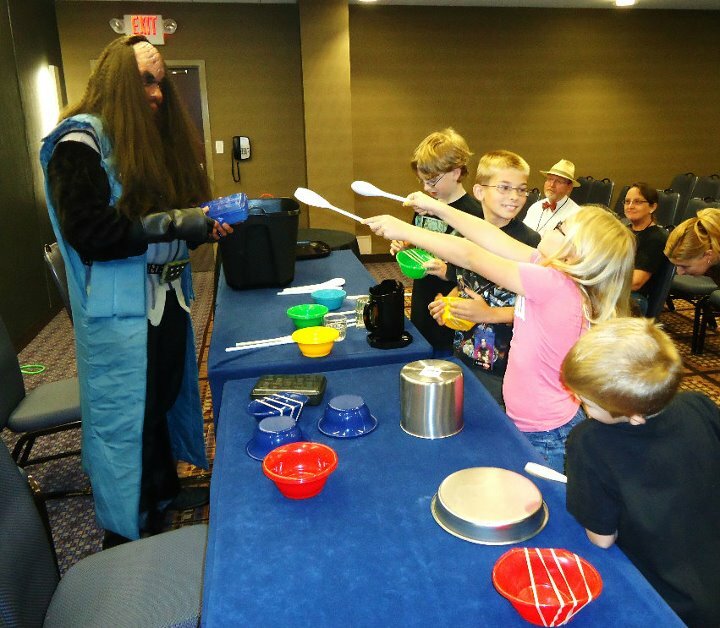 Jon Silpayamanant teaching an "Alien Music workshop for Kids" at Cyphan Science-Fiction Convention in Chicago, Illinois. So this past week was the first week of school and I’ve been coaching two periods of cellos since Tuesday. Earlier this week I read a piece in the Chronicle of Higher Education that talks about some research regarding the correlation between teaching and research. Most studies of this type looked at the connection between research activities and teaching, with mostly equivocal results though perhaps leaning in the direction that there may be a positive correlation. Few studies looked at the connection from the opposite end of seeing how teaching experience can enhance research. And fewer still (if this article is correct) have looked at it quantitatively, rather than through qualitative and often subjective surveys. It was timely that the article was published just as my teaching load has increased (as it always does this time of the year) as I often question the function of teaching and education and how this can be changed and whether or not things like this should be changed. But I’d rarely looked at it from the standpoint of how teaching music could possibly enhance, say, musical ability. In many ways, I can agree–in others I can just as easily disagree. In the end, it really depends on the teacher/musician. For example, being able to show someone how to do something on a musical instrument would seem to demonstrate that you know the instrument well enough to be able to teach how to do it. On the other hand, if your ability to do it on the instrument isn’t necessarily the most efficient or useful or, just downright idiosyncratic, then what you may be teaching would be how you would do it–not necessarily how it can or should be done. Whether that idiosyncratic way of playing an instrument is the result of previous ‘bad teaching’ or just willful ignore-ance of former instructors (or combination of both) doesn’t necessarily matter. And in some ways, I imagine it can simply be the result of a tradition of performance practice such as the holding-books-under-the-arm technique of bowing that used to be relatively commonplace in cello pedagogy. The thing is, we can’t necessarily predict what might be a more efficient and useful way of doing things in the future. In hindsight, as the saying goes, we’ll see it as inevitable but that doesn’t help our abilities to know future ‘good performance practice’–much less future enhancement of musical ability due to the ability to teach music. Really, in many ways we’re just walking blindly into a future with only our personal histories or institutional histories (e.g. teaching traditions) as a guide. I guess one of the questions is, if you can’t teach someone else how to do something, how much does that affect your ability to teach yourself something? Another thorny question. Some folks just have an intuitive sense of how to play a kind of music and can easily learn something within those boundaries. Which says next to nothing about their ability to learn something in a different musical style or genre (or on another instrument, for that matter). It’s an almost autistic way of relating to a broader musical culture or, rather, a broader culture of music. So the interview with me about the il Troubadore Klingon Music Project is out now (see the online version at this link). We’ve got a pretty busy weekend as we’ll be making an appearance at a local production of The Pirates of Penzance (in Outer Space) given by the New Albany High School choral department (May 15-16) as well as making an appearance at the Louisville Science Center as part of their current exhibit Star Trek: The Exhibition (May 15). 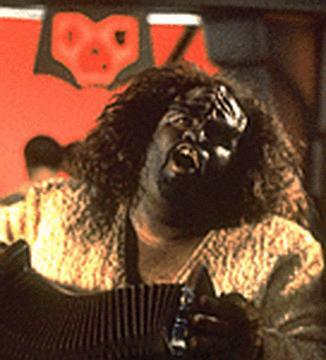 I will also be playing in the pit for the production so will be sweating it out in full Klingon uniform for a couple of hours. This weekend I’ll also be playing a couple of other shows (as if it wasn’t busy enough for me, eh?). The Louisville KlezmerFest with my Klezmer band, River City Klezmer. And il Troubadore will be giving a (non-Klingon) performance at the Batesville Public Library (Saturday, May 14). Now I need to make some repairs to my Klingon costume from the last convention! 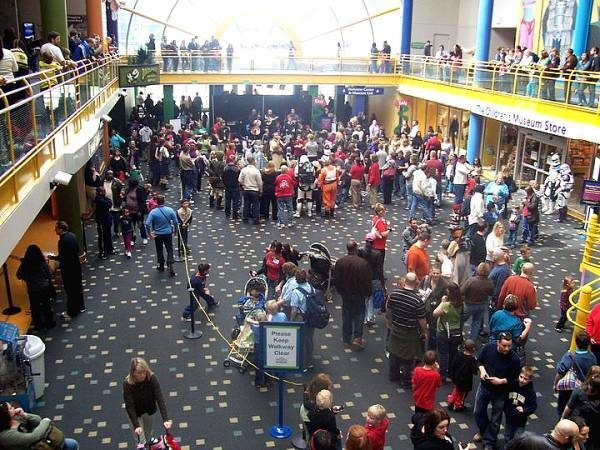 That was the official number of paying patrons that attended the Sci-Fi Day Celebration at the Children’s Museum of Indianapolis that I performed at this past Saturday. Granted, the performance was just a small part of the total event and there were many activities for the patrons to participate in–the Frog Prince play; all the wandering folks/fans in full costume with all the concomitant photo opps; and the raison d’etre itself–the Incredible Costumes From Film & TV exhibit itself. So no, most of the folks there didn’t come to hear il Troubadore play tlhIgan QoQ (Klingon music)–not most of them anyway–they were there for the total experience that Eric Edberg and Greg Sandow are talking about here and here. And while I have some misgivings about that issue that I commented about here there’s a different issue I’d eventually like to blog about relating to what we might call an audience development issue that I was reminded of regarding the whole “Pop vs Classical” [non] issue that was being discussed in Greg’s blog. 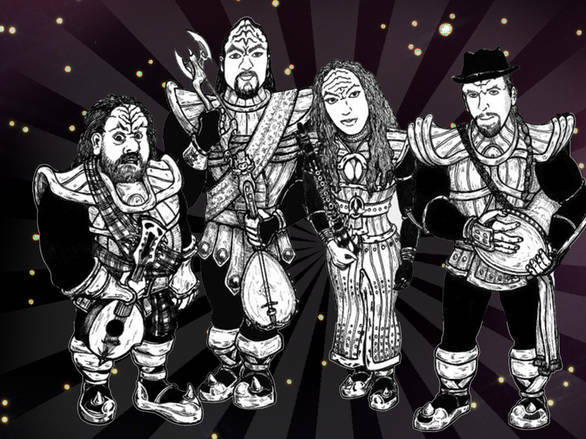 il Troubadore's Klingon music album, "thlingan QoQ"
Tracks will include excerpts from our Klingon Ballet “wa’SaD ram wa’ ram je” and other original tunes written in Klingon as well as some favorite Klingon War and Drinking songs. Being a demo, it obviously won’t be a finished product, and we’ve also got to secure the reproduction rights for various franchise tunes–we’ll worry about that when we reach that hurdle. Oh, and yeah, I did the artwork for the CD, in case you folks were wondering.